Hello, lovelies! Today is a non-working holiday because we are celebrating Bonifacio Day. I and my husband are going to meet his family (my in-laws) later this afternoon and we are going out of town. We are going to watch the light show in Nuvali. I can't believe it's December already tomorrow! Time flies so fast and it's Christmas again. 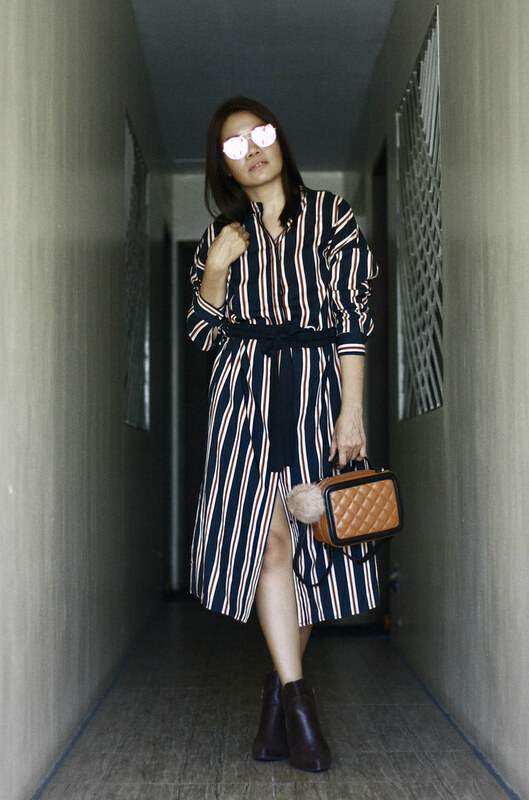 Anyway, before I get myself prepared for later's activities, let me share this style post featuring ZAFUL and I hope it will inspire some of your fall outfits. Just click the link below or click the photo above to see more photos and outfit details. I know I've gained weight this month because of so many festivities and events I've attended. You know if you got invited, they will feed you non-stop especially if it's buffet style? Haha! 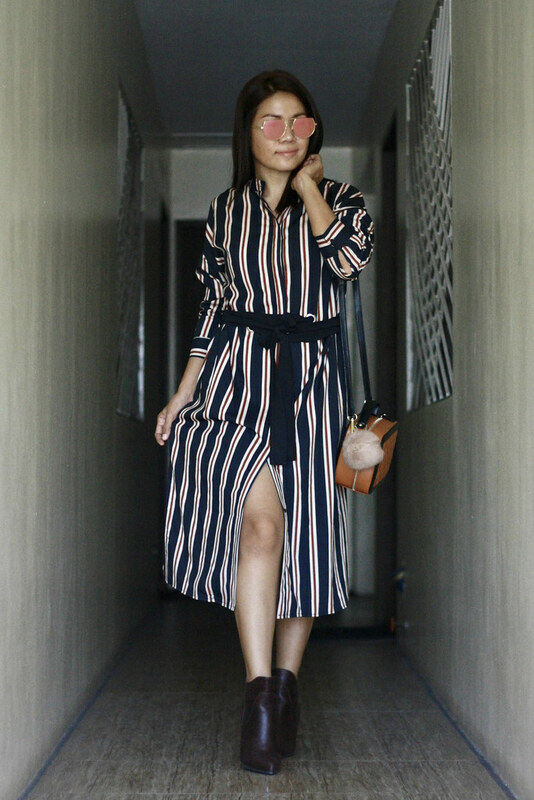 So a little trick to look a bit thinner is to wear vertical stripes like this Belted Long Sleeve Stripes Dress. This dress is surprisingly beautiful in person compared to the photos shown on the product page. It's really attractive and I love it! It has two concealed side pockets and short slits on both bottom sides. It has long waist ties with holes and loops. 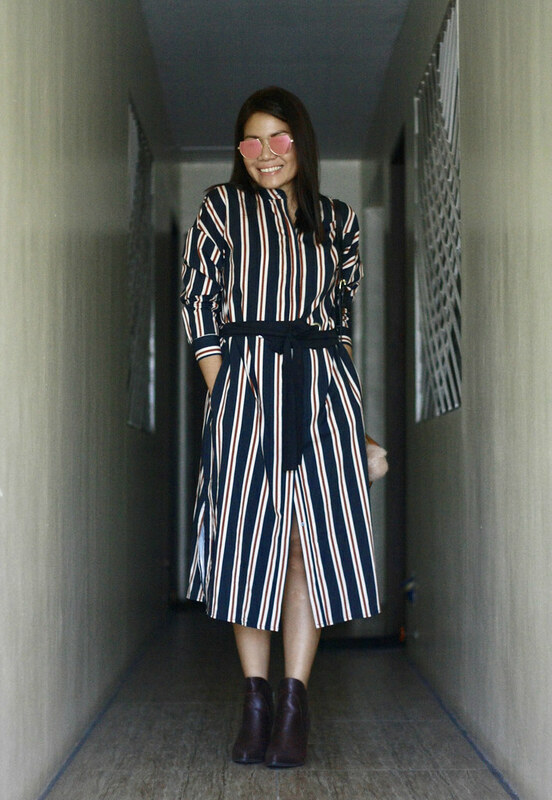 It's a front button down dress, by the way. The size is true (I got Medium, by the way). The quality is very good and I highly recommend it. I love small sized bags. 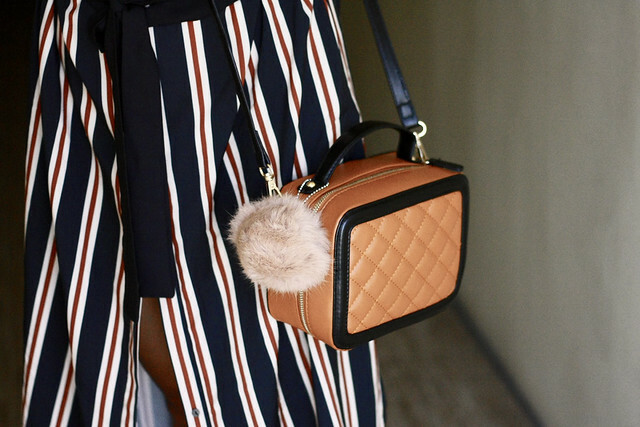 That's why this Pompom Quilted Color Block Crossbody Bag has found a room in my closet. This bag is so roomy inside. I can keep more stuff here compared to my other small bags. I can wear it as handbag or slingbag. It comes with this pompom. Isn't it cute? There are two colors available (brown & black). 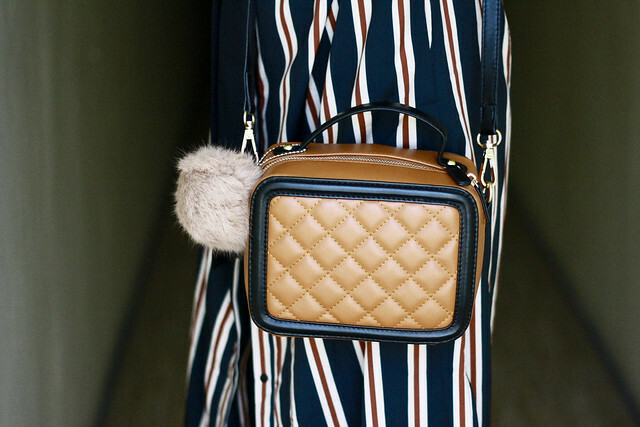 Check out the wide selection of their crossbody bags here. Love the dress and boots! !You look awesome! !